HMs Have Been Removed In Pokémon Let’s GO, Pikachu! And Let’s GO, Eevee! The Pokémon Company has revealed that HMs have been removed in Pokémon Let’s GO, Pikachu! and Pokémon Let’s GO, Eevee!. Game Freak director Junichi Masuda had appeared on the Japanese variety show as had been promised, where he revealed that you can call on your partner Pokémon – whether that be Pikachu or Eevee – to use moves to cut trees or surf on water. 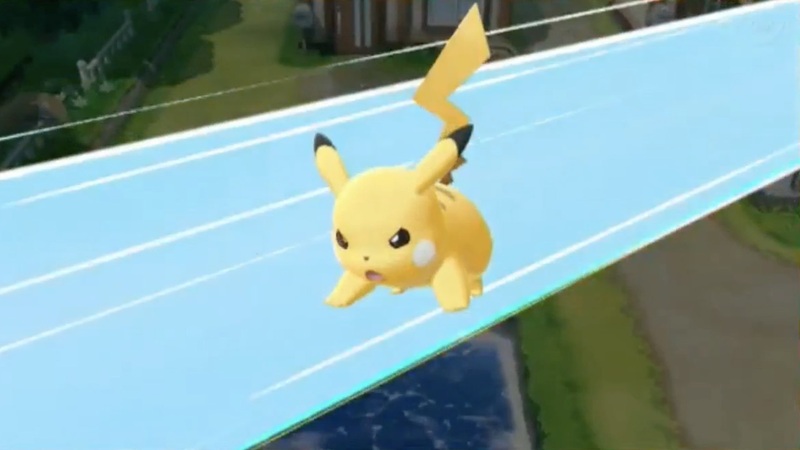 This was demonstrated with Pikachu in gameplay footage, where the electric mouse could be seen using its tail to cut a tree down, and then hopping on a surfboard with the Trainer character to surf.